Glacier Creek in Rocky Mountain National Park is thawed and flowing freely but Winter's grip still has a hold on Rocky Mountain National Park. 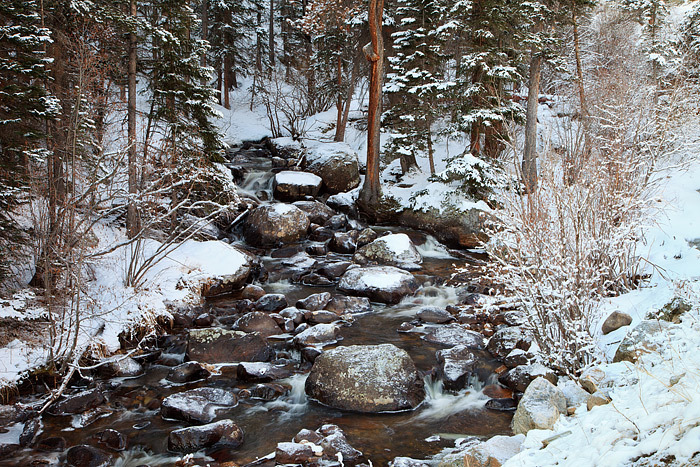 Glacier Creek glides past snow coated pines covered with powdery fluffy spring snow. Colorado's Front Range and Rocky Mountain National Park are subject to large spring storms well into the month of May. Photo © copyright by Thomas Mangan.